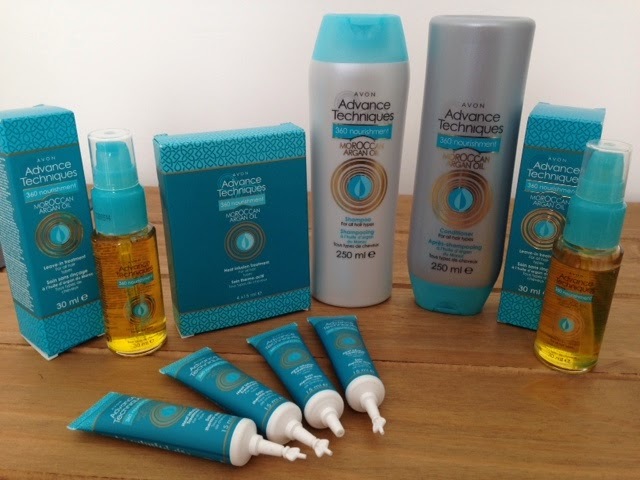 I thought I would tell you about these new hair care products that I am using from Avon from their Advance Techniques range. But first, a bit of background about my hair care journey...I am currently growing my hair from a short 'bob' style that I have had on and off for many years. I would grow my hair and get it to a certain length (shoulders), get bored, and then either cut it short again back into a bob or put hair extensions in for a longer more versatile style. Although I am in and out of hair extensions regularly (which are bonded with weave glue, which is really not the kindest thing to do to your hair) my hair has luckily, touch wood, never suffered. My hair is still thick, still grows well and looks healthy. 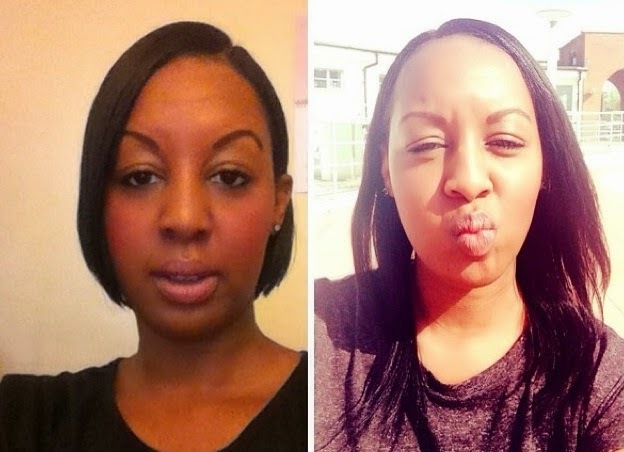 I can still go between both looks which a lot of people unfortunately can't do because there own hair has suffered from colouring, extensions, perms etc. However, I do take the time to look after my hair and get regular trims which even when you are growing your hair, is important to do to maintain its health and growth. I've seen so many people who are scared to trim their hair when they are growing it as they think that it is counter productive, so they sadly end up left with unattractive, wispy 'rat tail' ends...not nice. I also use a silk head scarf at night to wrap my hair in so that it is protected from pulling and snagging as I sleep...It's a great look for bedtime! In the past I have used Kérastase products which are brilliant. In particular their Oleo Relax Serum which I loved for making my hair beautifully sleek and shiny and also tamed any unruly flyaways. It was brilliant for my 'bob' style as I had it very sharp and clean and would hate any hair that would be out of place...I think having the bob made me slightly OCD! I also used to use their shampoo (Bain Satin 2) and their mask, (Kérastase Nutritive Masque Nutri-Thermique). I think my hair was probably at it's healthiest when using these products. Products infused with Moroccan Oil/Argan Oil now seem to be everywhere. 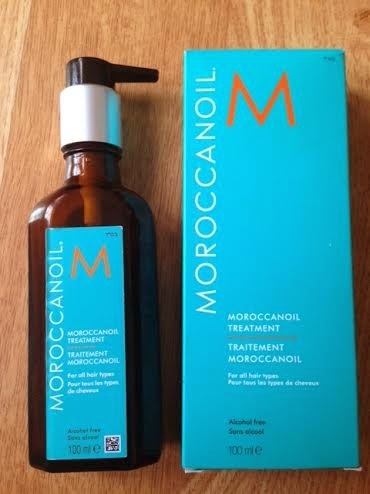 I started using the original 'MoroccanOil' (below) when introduced to it at the Ideal Home Show a couple of years ago where they had a stand. It is a thick consistency oil and is so nourishing and strengthening for the hair and provides healthy shine. I'm someone who likes sleek hairstyles- I'm always rocking a side-parting and these types of oils are perfect for this look. It is very pricey though at approx £30 for a 100ml bottle. Because of its consistency though, it does last a long time. 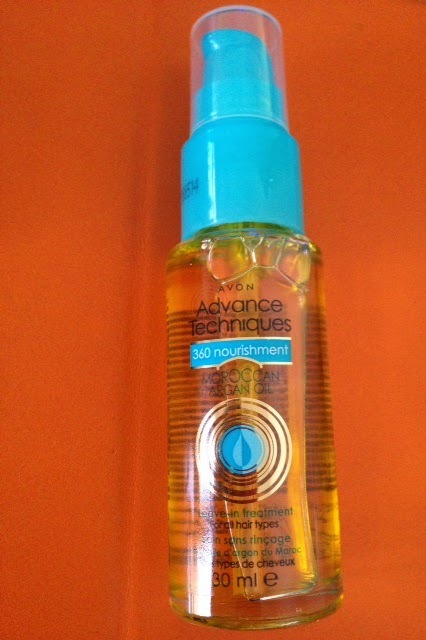 It's also good to use this on wet hair before blow-drying to seal in moisture. Recently I have started using this Avon version which I believe has been inspired by the original - even down to the blue packaging. The leave in oil treatment only comes in a small 30ml pump bottle (below). The oil is still thick but a touch lighter than the one above. I have found that my hair has reacted well to this and looks so healthy. I have also brought the Shampoo, Conditioner and Hot Oil treatments which I used yesterday (below). They smell gorgeous and my hair feels so soft and moisturised. The price is really reasonable too with each product less than £10 each. It's early days yet but I will continue to use these products and see how I get on. What hair care product do you use? 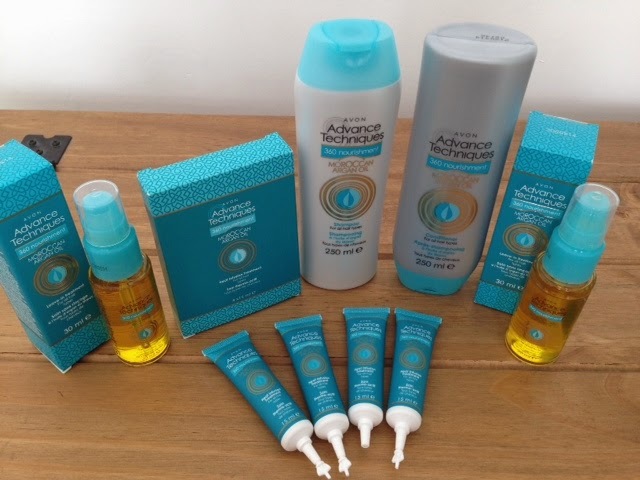 Good review, I've been thinking about trying this range for a while now as my neighbour does Avon and always leaves me a book to go through. Thank you Annie, glad you enjoyed the post. A deficiency in nutrition can lead to brittle, vulnerable and unappealing hair. You may also lose hair when you have a bad enough insufficiency. Make sure that you're eating proper allowing you to have the best hair achievable.